It’s 12:43am and I’m finally headed to bed after a late night of stamping and chatting with my fellow A muse addicts. For Geeta’s challenge (Make a card for a mom you know), I made a quick card for my mama – she’s had a hard week so I treated her to breakfast. 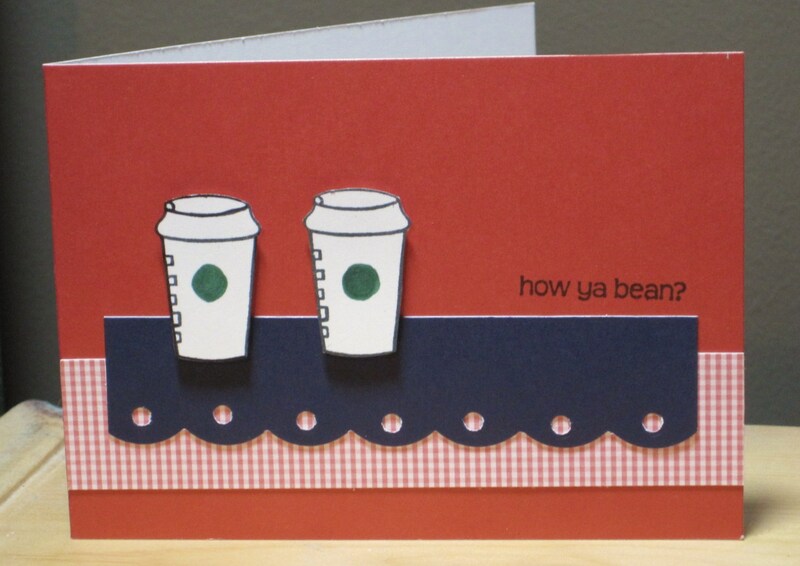 Mom’s favourite colours are navy blue and red and she sure does love coffee, so I made this card to have on hand. The inside says “let’s get together for coffee”, and there’s a little pocket to stash a Starbucks gift card. My mom is such an amazing woman, she deserves to be treated more often. Too sweet Meghan! I’m sure your mom will appreciate it! ADORABLE. This is just stunning. Very nice. Thanks for sharing. Happy Monday in May!